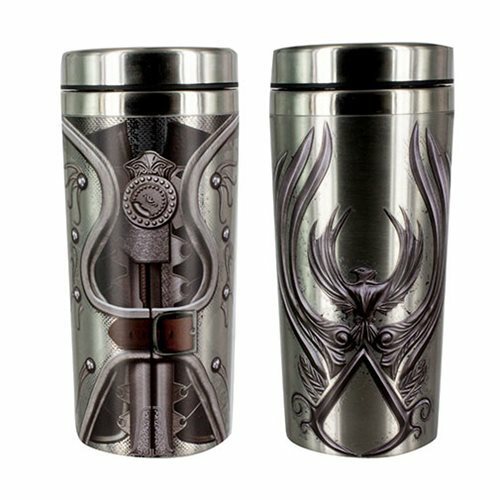 Enjoy your hot beverages on the go with this sleek and stylish Assassin's Creed Travel Mug. Featuring iconic designs from the game franchise, this distinctive travel mug is double-walled for extra insulation and is perfect for long journeys and commutes. This stainless steel travel mug with a 15 oz. capacity, gauntlet decal and plastic lid is the perfect accessory for your next adventure, wherever it may take you. Hand wash only. Not dishwasher safe. Do not microwave.